(NBC News) Rental electric scooters are an easy and inexpensive way to navigate city streets, but they can also be dangerous. 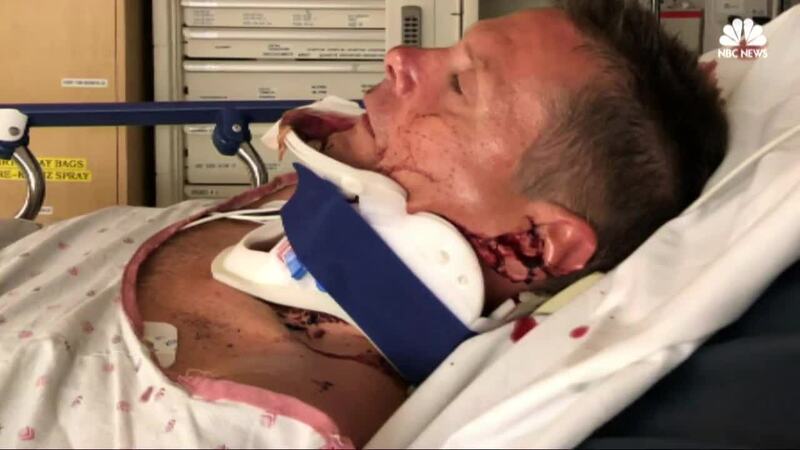 47-year-old John Montgomery flew off an electric scooter last month in Los Angeles, leaving him with a broken jaw, a fractured wrist and permanent damage to his hearing. Dr. Sam Torbati is the medical director of the emergency department where John was treated. He says he's seen a rise in scooter-related traumas. "Head injuries. We're seeing facial injuries. We're seeing patients who injure their shoulders, their wrists," said Torbati. John blames his accident on a mechanical failure of the scooter, and is suing the Bird rental company. In an email, a Bird spokesperson said the company prioritizes safety and investigates all reports of vehicle malfunction and accidents. Earlier this summer, the Bird said it gave away 40,000 free helmets to encourage safe scooting in cities. What's unclear, though, is whether 40,000 people are actually wearing them.